It has been a long time since AMD has been the first name on the lips of a hardware enthusiast. It has been years since AMD graced many of the high-end machines that giddy gamers and tweakers packed around to their local LAN parties. The famed processors were the AMD Athlon 3000+ and higher processors that Intel couldn't come close to touching . . . back in the day. Things took a dramatic turn for the worse for AMD when Intel launched its Core 2 Duo processor and ever since AMD has been playing catch-up. 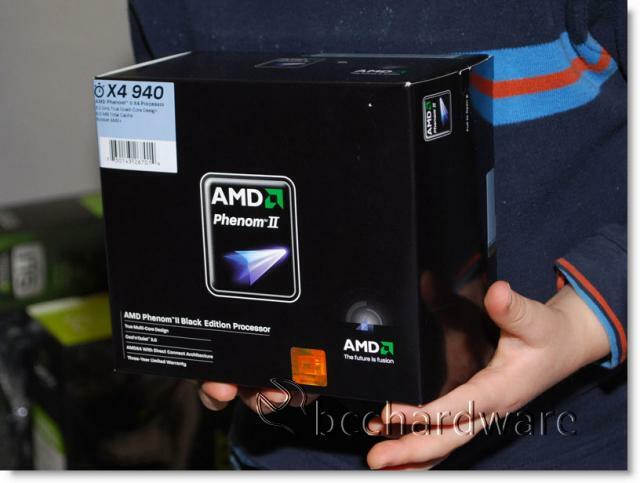 Today we are looking at the newest processor in AMDs arsenal - the Phenom II X4 940 Black Edition Processor and are going to put it up against the old-school Phenom X4 9950 Black Edition. We will be following up with a look at some Intel processors to add to the mix, but for today are goal it to see how the Phenom stacks up to the Phenom II when running clock-for-clock. We'll also do a bit of overclocking and see if we can push the Phenom II up to the magical 4GHz. One thing that I like about the Phenom II X4 940 Black Edition processor is that it comes with a heatsink. When I purchased the Phenom X4 9950 Black Edition, it came in a retail box as well, but without a heatsink. This makes it handy for people who switching from a different platform to the AMD AM2+ CPU. Another thing that impresses me is that this top-end CPU is priced at under $250 and an Intel top-end CPU is generally priced over $1000. Granted, Intel still holds the performance crown with their Core i7 CPU, but for the price difference the AMD Phenom II is certainly a bargain. Finally, the thing that I love most about the Phenom II is that it is socket compatible with other AM2+ motherboards. Any motherboard that can handle a Phenom processor can handle the Phenom II. This makes the upgrade path relatively cheap and much more affordable that Core i7 which involves new board, triple-channel DDR3 and a new CPU. 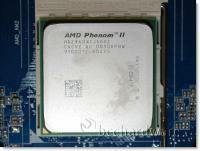 When it comes to putting the Phenom up against the Phenom II X4, you first have to realize several things. First, and most obvious, the Phenom II is clocked faster than the fastest Phenom X4 processor. We have the Phenom X4 9950 Black Edition (clocked at 2.6GHz) up against the Phenom II X4 940 (clocked at 3.0GHz). The handy thing about this is that both CPUs have unlocked multipliers and we will be running the 9950 at 3.0GHz by simply changing the multiplier. This will give us a clock-for-clock comparison of these two processors. The second consideration is system bus speed. The Phenom II actually runs on a slower bus than the Phenom. The Phenom screams along at a 4000MHz (effective) bus while the Phenom II sits lower on the totem pole with a 3600MHz (effective) bus. The Phenom II also is built on a 45nm process while the Phenom uses the 65nm process. While the L1 and L2 Cache size are the same on both processors, the Phenom II has a 6MB L3 cache with is 3x larger than the 2MB L3 cache on the Phenom. Because the Phenom II has been around for a little while, we're not going to go crazy with pages upon pages of detail and reasons why the Phenom II is faster, but we'll still give the overview of each processor series from AMD on the next couple of pages - after that, the benchmarks.